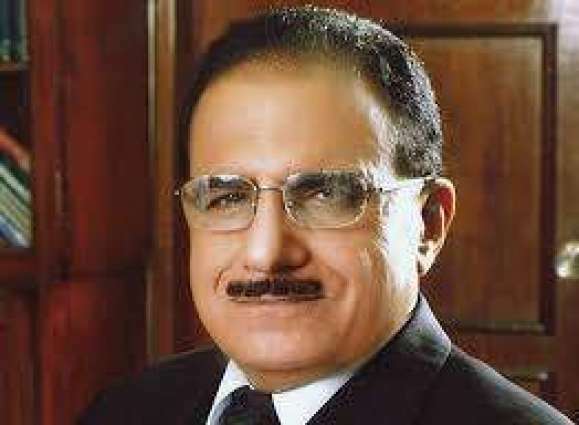 PESHAWAR: Caretaker Chief Minister Justice (R) Dost Muhammad Khan has said that professional and technical education is the key area that can generate massive economic activity leading to the rapid development and job creation in the province. The interim CM was presiding over a meeting on Technical Education & Vocational Training Authority (TEVTA) at the Chief Minister Secretariat Peshawar. Minister Industries Sanaullah, Secretary Industry and TEVTA MD were also in attendance. “This province has a lot of potential that needs to be tapped and exploited for the benefit of the province and prosperity of its people,” he said. Air Commodore and principal advisor to CM on Technical Training and Evaluation gave a detailed presentation on the wide range of activities of the TEVTA and making functional the un-functional training centre throughout the province. The presentation focused on different programmes initiated by KP TEVTA for extended technical training in its different institutes for the skill development and technical education to the youth of the province. The interim CM directed the full utilisation of underutilised training institutes in the province. This province would become the hub of trade and commercial activities in the wake of CPEC. The public-sector institutions must be prepared for their enhanced role in the foreseeable future. The chief minister directed for the transparent working of TEVTA. This institute has the capacity to convert the unskilled youth to a fully skilled and trained manpower. “This province needs skilled manpower for its futuristic plan for expeditious development,” he said. He agreed to the recommendations prepared by TEVTA, the special audit of KP TEVTA head office and all its institutes. He also agreed to the decisions of its board of governors. Dost Muhammad Khan appreciated the Pakistan Air Force (PAF) team for bringing efficiency to the working of KP TEVTA institutes and directed to continue the revamping of technical education that he added is the key component for industrial efficiency in the province. He said we have to be ready to the increasing trade, commerce, industrialisation and infrastructure development and other challenges brought by the CPEC. Regarding the spending, the Dost Muhammad directed that these spending should be legitimised at the proper forum.